“Look at that. 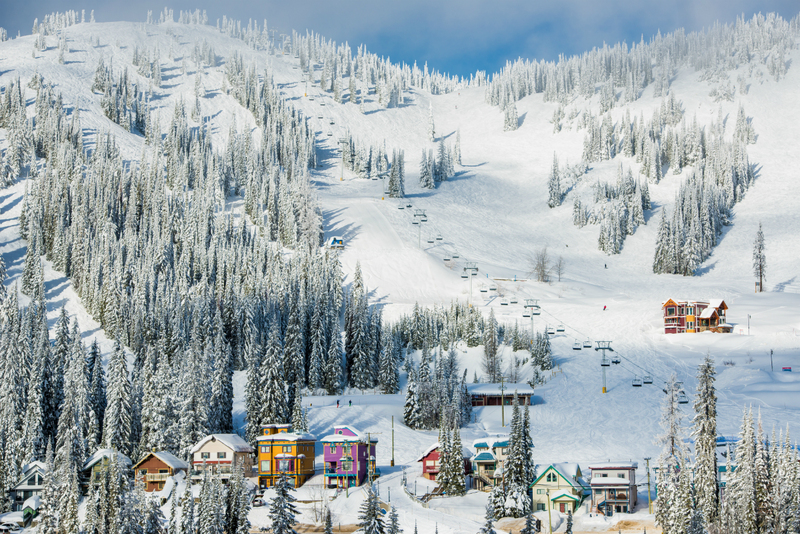 We have to stop to get a photo,” says Silver Star Mountain Resort guide Bob Vedan. We wiggle our hands out of our warm gloves, exposing them to the almost negative-20-degree air. It’s unusually cold for this part of the central Okanagan—typically, a chilly day means hovering around the negative single digits. But today, for braving the cold, we’re rewarded with a special, rare sight. “Those are called snow dogs,” Vedan says. “I’m not sure what the scientific term is, but I know them as snow dogs.” Vedan, who is a retired school teacher and member of the Shuswap First Nation, explains that only on days so cold, on mornings so bright, does the air get crisp enough to crystallize any moisture, creating rainbows and sunspots that shine right above the horizon. Phones (kept in inner jacket pockets so they don’t freeze and turn off) do the sight little justice as tiny flakes of snow are illuminated like crystals that sparkle all around us. Another benefit of a cold day like today: no lines. 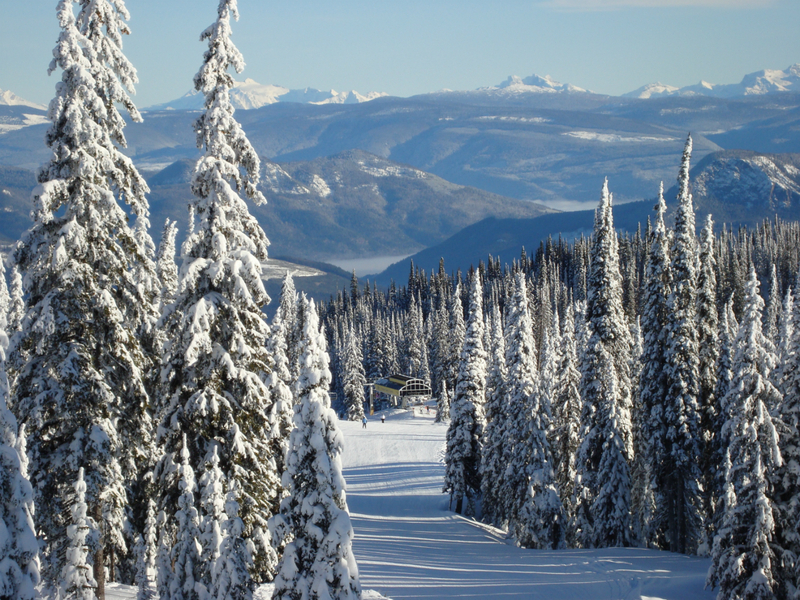 (Though, as is usually the case with smaller mountains, a perk of Silver Star is that there are often no lines). 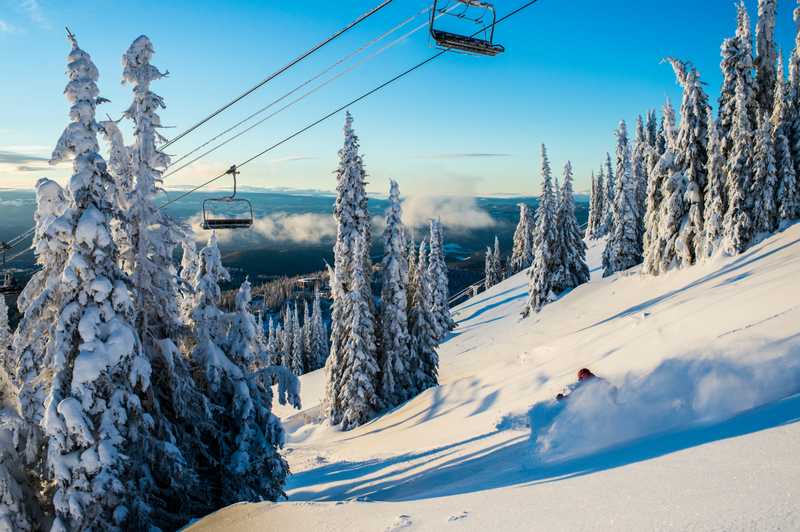 Skiing on and off with ease is a special treat for Lower Mainlanders who are used to waiting in queues, and makes the leisurely long slopes (eight kilometres are the longest) even more enjoyable. 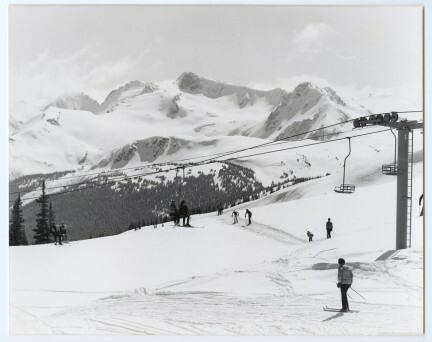 The mountain is a fair split between easy runs (15 per cent), intermediate (40 per cent), and most difficult and extreme (45 per cent). 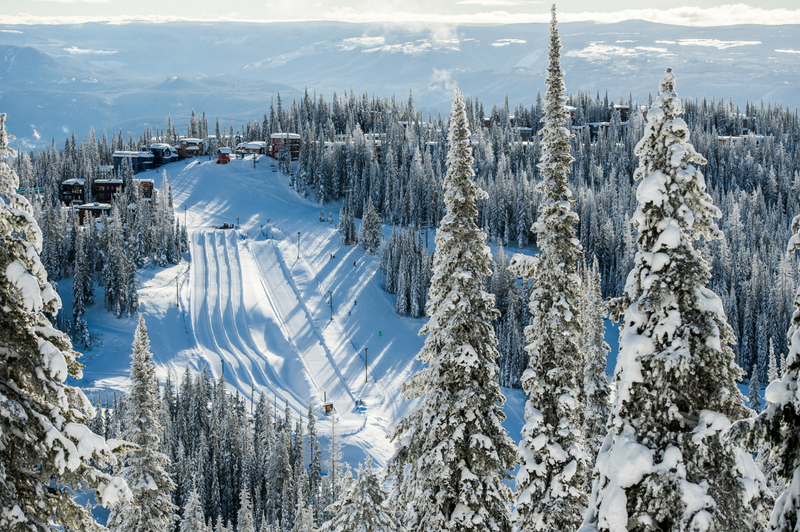 We take the Silver Woods Express on the front side of the mountain, making our way down intermediate runs named Simple Pleasure and Star Struck. 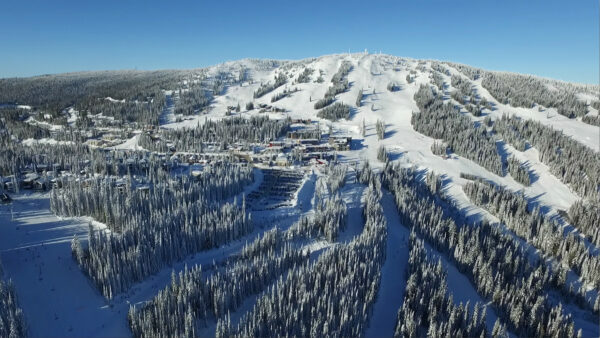 They are not packed with snow this early in the winter, because Silver Star prides itself on not making a single flake—the powder here is all natural. 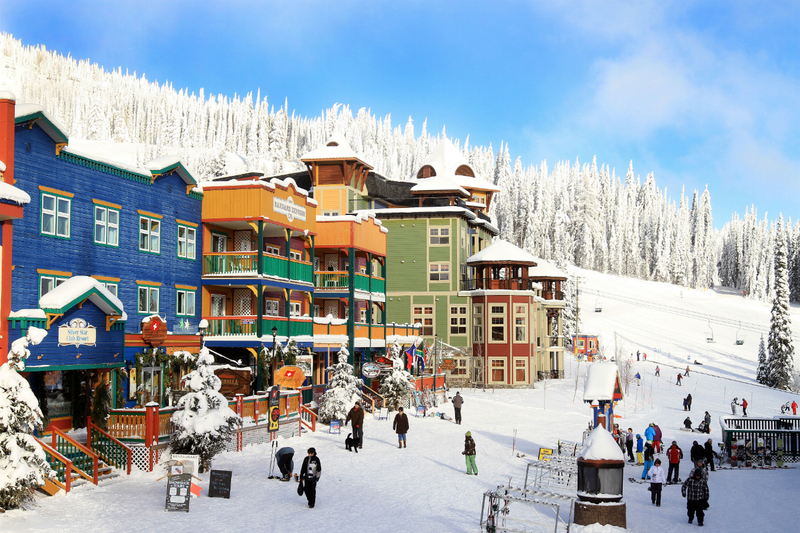 Connecting the 132 runs is Silver Star’s quaint and colourful village, with accommodations including the ski-in-ski-out Snowbird Lodge. 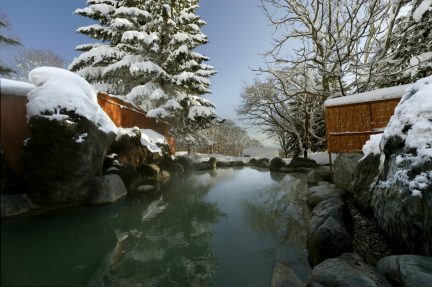 The executive room options come with full kitchen, laundry, and a personal outdoor hot tub. Quaint also means nothing in the village is too far of a walk, and right around the corner from the lodge is Bugaboos Bakery Cafe, a Silver Star institution where house-made croissants (chocolate, almond, all things in-between) are served along with cinnamon buns—though elegant and delicious, without the classic gooey cream cheese icing, they may be a divisive choice. After a gruelling, cold day, heartier fare can be found at pub-focused village outlets such as the Red Antler. Here, unexpected house-smoked meats, lingcod fish and chips, as well as typical mountain favourites like poutine, burgers, and beer, can be rounded up for a crowd. If a day is to be spent on the backside of the mountain, where more challenging experiences abound, packing a lunch may be a prerequisite. For that, a stop pre-mountain (or post-mountain, really) at Helmut’s Sausage Kitchen located in Vernon, right before the crawl up the hill, stocks backpacks with house-made sausages, deli meats, mustards, cheeses, sandwiches, and sausage rolls. Then make a quick visit to Okanagan Spirits Craft Distillery, located just down the street. 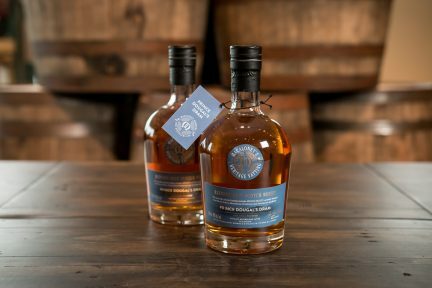 Western Canada’s first distillery offers award-winning spirits, including standout gin made with apples, as well as vodka and fruit brandy. 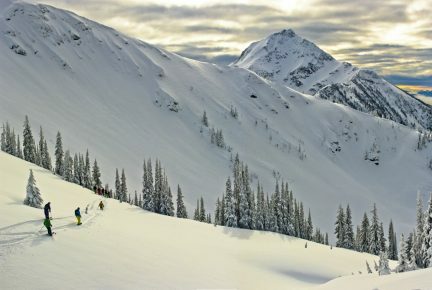 Pop a bottle in your bag along with lunch, and let it get to near freezing as you ski: a special reward that doesn’t just appear on the coldest days of the year. See more of what our province has to offer.